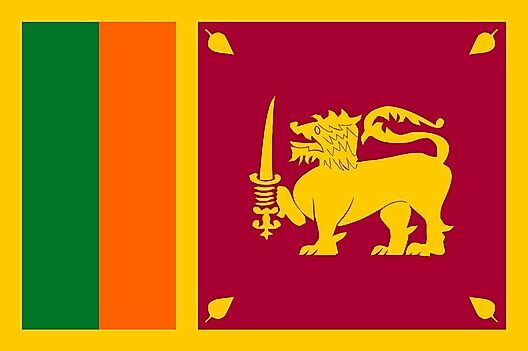 In the emerald-green waters of the Indian Ocean, the island country of Sri Lanka, frequently referred to as the "Teardrop of India," was first populated by the Sinhalese peoples from northern India in 543 BC. During the early ages, the Sinhalese economy centered around farming. During the Anuradhapura period and on through the Kandy period, a total of 181 kings ruled. 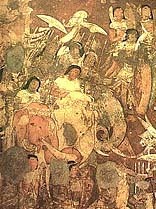 During the reign of Devanampiya Tissa in 250 BC, Sri Lanka experienced a major transformation with the arrival of Buddhism. Succeeding kingdoms thereafter kept numerous Buddhist schools and monasteries running. In 245 BC, Bhikkhuni Sangamitta arrived at the island with the Jaya Sri Maha Bodhi tree, widely considered to be a sapling of the historical Bodhi tree in which Gautama Buddha had become enlightened. Today, it is the oldest human-planted tree in the world. Sri Lanka reached the height of its power during the 12th century under the ruling of Parakramabahu the Great. In addition to the thousands of reservoirs he had built, Parakramabahu's greatest construction project was the Parakrama Samudra - the largest irrigation system of medieval Sri Lanka. The country began to weaken after the death of Parakramabahu. As European influences spread throughout southern Asia in the 16th century, Sri Lanka was eventually occupied by the Portuguese and then later, in the 17th century, the Dutch. In 1796, the island was ceded to Britain by the Netherlands, and became a crown colony in 1802. British rule marked the beginning of the modern period for Sri Lanka as a utilitarian and liberal political system were introduced, and the coffee industry grew to become the primary export. Falling coffee prices in 1847 hit Sri Lanka hard, and a financial depression spread throughout the country. With the economy stalling, the government pushed to instill a series of taxes to compensate for the decline. 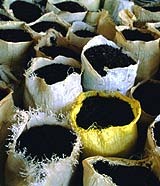 Bitter over the new tax system, the locals rebelled against the government, forcing the British to find a replacement export in tea production. Long known as Ceylon, and as a popular port-of-call, the country declared independence in 1948, subsequently changing its name to Sri Lanka in 1972. For the decades that followed, internal strife seemed indigenous to Sri Lanka, as tensions between the Sinhalese majority and Tamil separatists finally erupted into a civil war in 1983. Tens of thousands died in that ethnic conflict, and although now on the proverbial back burner, social and governmental conflicts continue to fester. 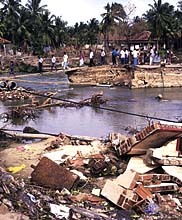 Tragically, Sri Lanka was devastated by the powerful earthquake-triggered tsunami on December 26, 2004. Today, this tropical island is once again on the radar screens of worldwide travelers, as Sri Lanka is rebuilding itself into one of the fastest growing economies of the world, and making a strong comeback, especially in tourism. What Type Of Government Does Sri Lanka Have?